Yesterday, @evleaks tweeted out a decently-sized spec list for the rumored “Prime” device from HTC, which included a 5.5″ WQHD display, Snapdragon 805 processor, 3GB of RAM, Cat 6 LTE radios, and water resistance. Today, we could have our first small look at the rear side of the device, which shows HTC’s infamous Duo Camera, and a not-so-flush main camera sensor. From the image below, we can take away that this phone does have Duo Camera, dual flash, and the same banding that HTC has used on all previous iterations of the One lineup. 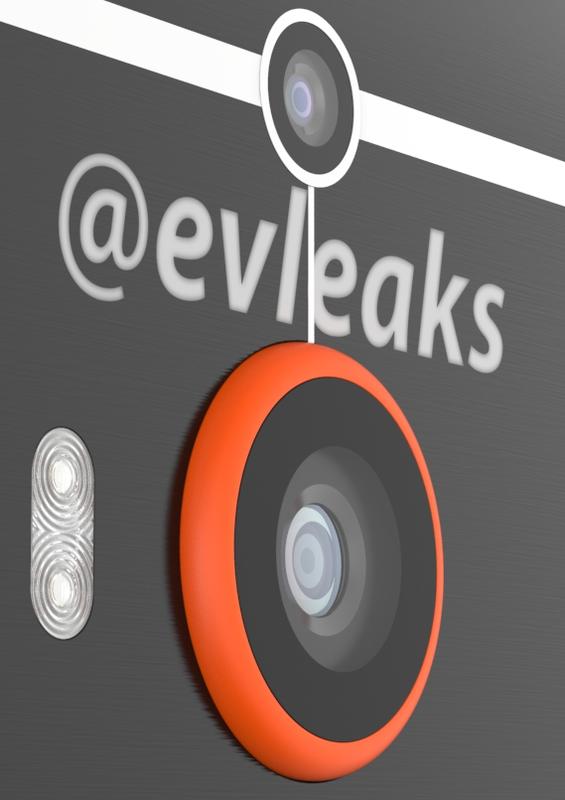 The only real difference we can spot so far is the completely un-flush main camera sensor. Why would it need to stick out so far? Could it be HTC is throwing in a massive sensor? Could it be a type of attachment for different photo effects, such as fisheye? From a company that takes design ultra serious, it is really hard to imagine that this design would receive a green light. While this may be an extremely early look at the Prime, and the overall design of the camera could change (we sort of hope it does), what are your initial thoughts so far? Verizon Makes VoLTE Plans Official, Arrives Nationwide in "Next Few Months"